Hestan, the innovative culinary brand redefining its category, forges a new path in culinary technology with the launch of Hestan Cue, a guided cooking system connected via Bluetooth technology. Through a perfect marriage of science, technology, and culinary craftsmanship, Cue transforms home cooking into an immersive, culinary experience. 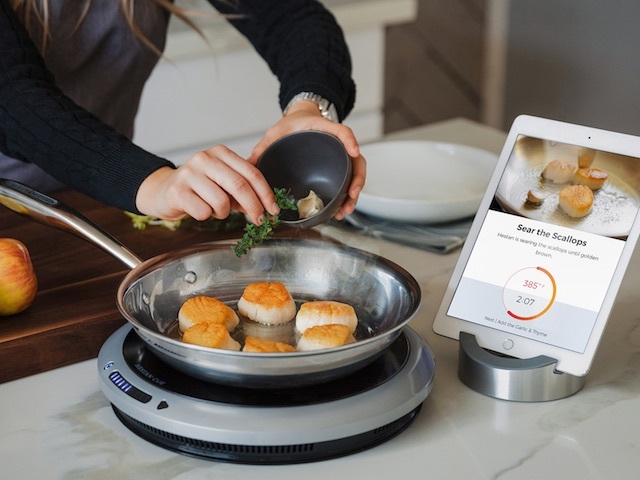 Cue's connected pan, induction burner, and recipe app act as a coach in the kitchen, guiding users through each phase of the cooking process, helping to ensure a perfectly finished dish ever time.